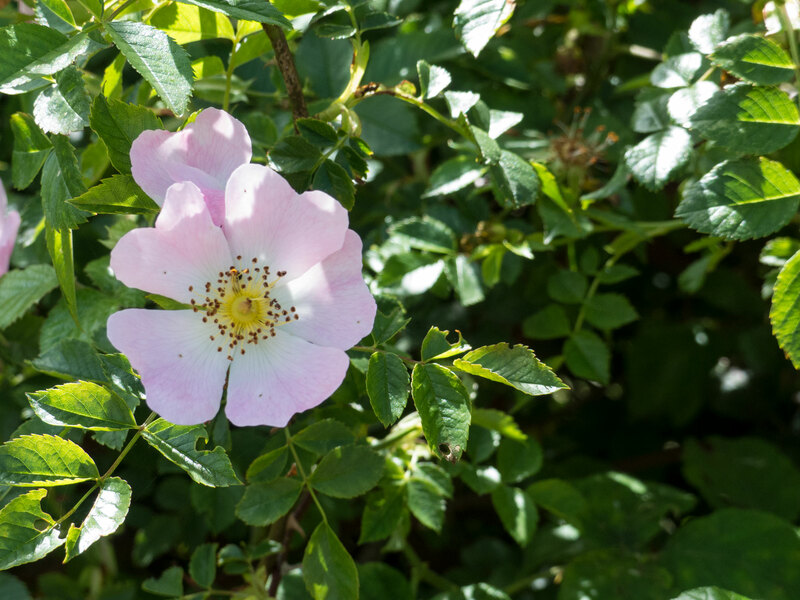 All of these were taken in early summer at a nature reserve not far from my home in Norfolk, England. 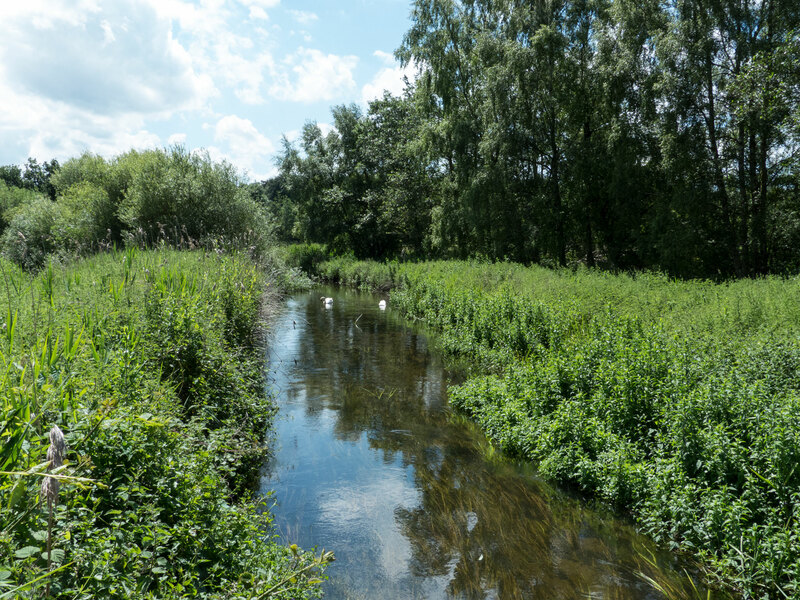 The reserve runs alongside the River Wensum, which is a gin-clear chalk stream: a type of river system almost confined to southern England. 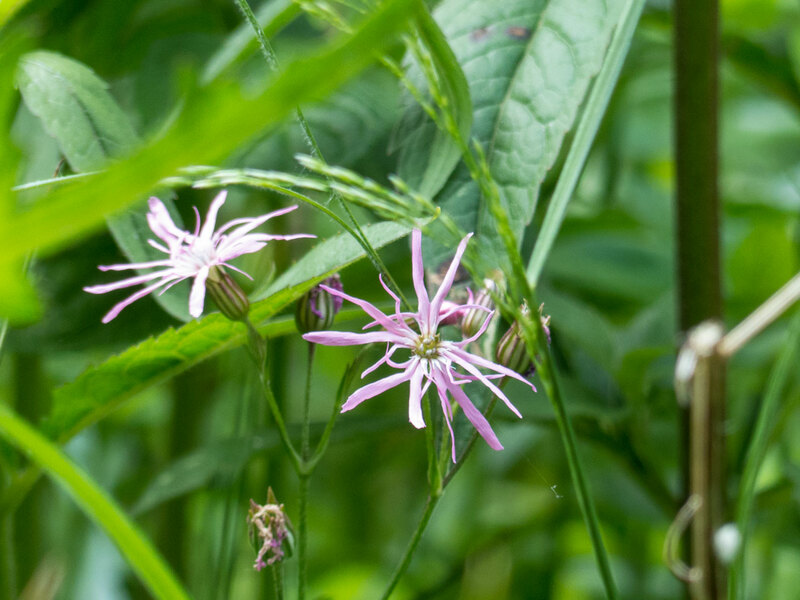 Of the approximately 210 chalk streams in the world, 160 are in England. The water is totally clear because it has been filtered through hundreds of feet of chalk rock. Two Mute Swans (Cygnus olor) in the distance. 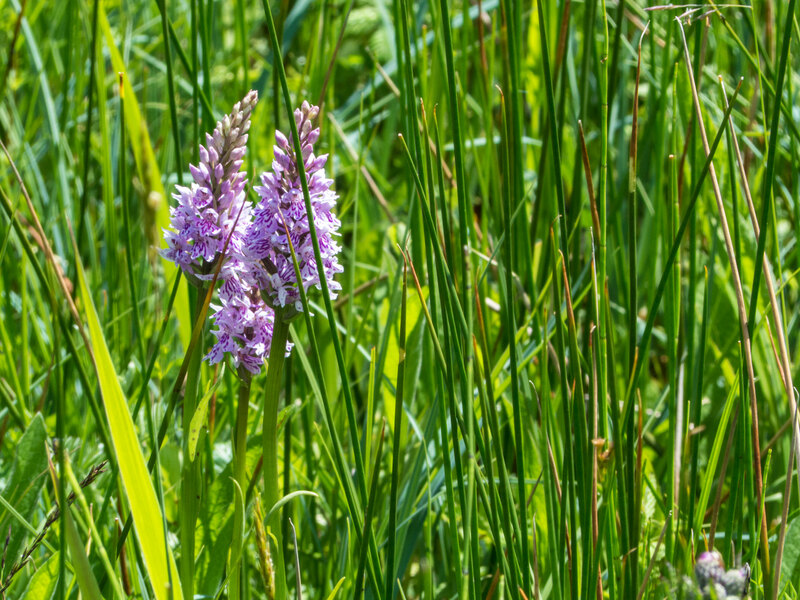 The water meadows are full of wild plants. 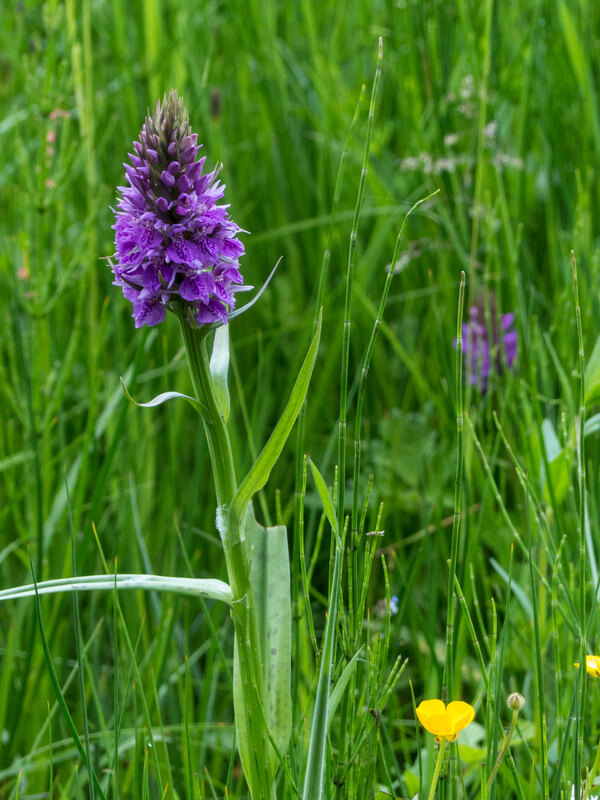 Here are wild rose (Rosa canina), Ragged-Robin (Lychnis flos-cuculi), Common Spotted Orchid (Dactylorhiza fuchsii) in two colour forms and, I think, Southern Marsh Orchid (Dactylorhiza praetermiss). There were many insects, but these were the most interesting. 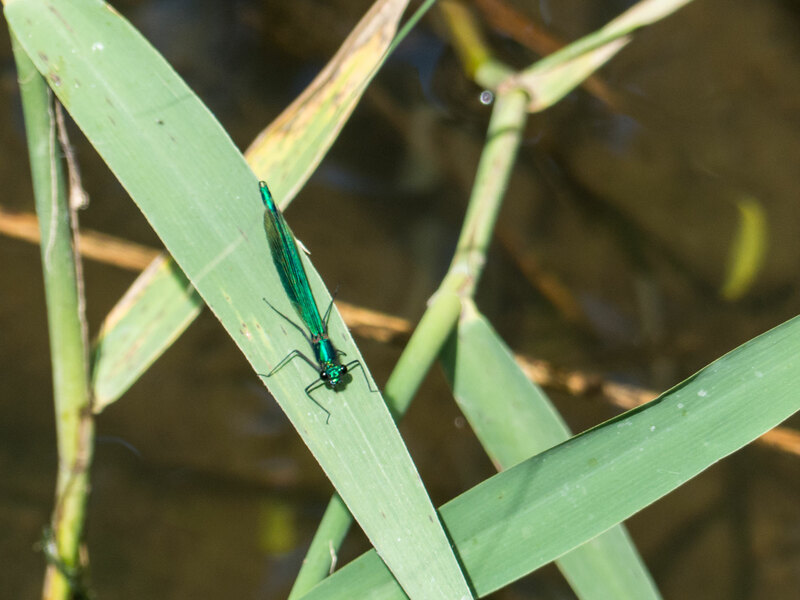 A slightly unusual damselfly, the wonderfully-named Beautiful Demoiselle (Calopteryx virgo). I think this is a female. 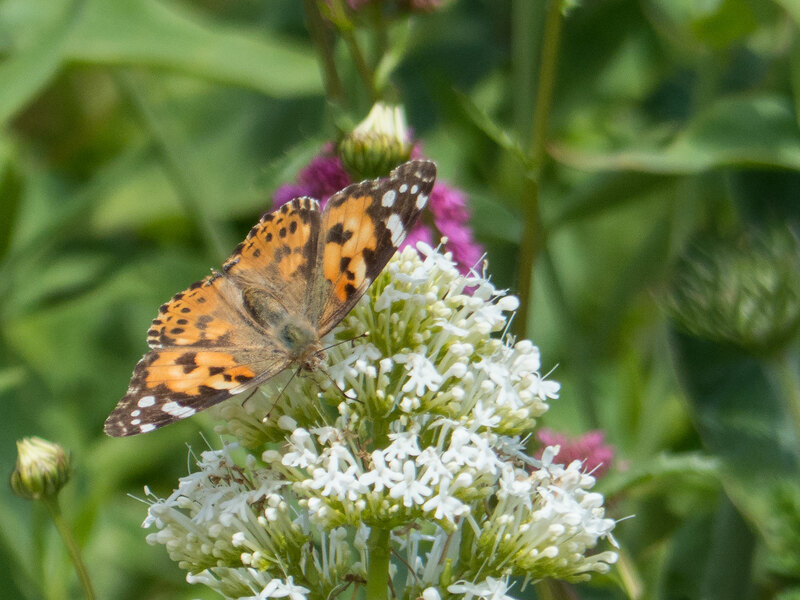 Also the year’s first Painted Lady butterflies (Vanessa cardui). Last, but not least, birds. 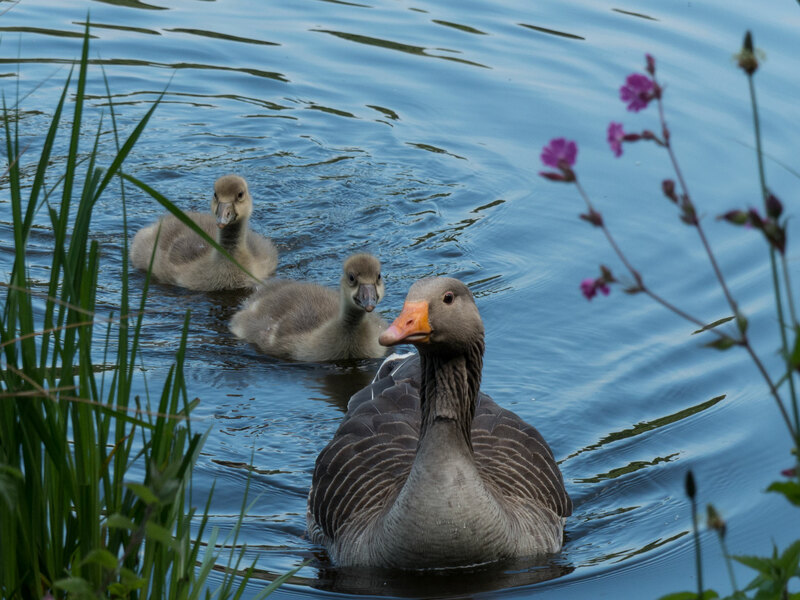 A Greylag Goose (Anser anser) with goslings. Many are feral here, but there are also wild birds. A male Ruff (Calidris pugnax) in full breeding plumage. You can see how it got its name! This entry was written by whyevolutionistrue and posted on August 14, 2018 at 7:30 am and filed under birds, photography, plants. Bookmark the permalink. Follow any comments here with the RSS feed for this post. Both comments and trackbacks are currently closed. Very nice photos of a wide variety of natural subjects. Thanks! I’ll try to see a chalk stream next time I am over that way. How gorgeous. Excellent! 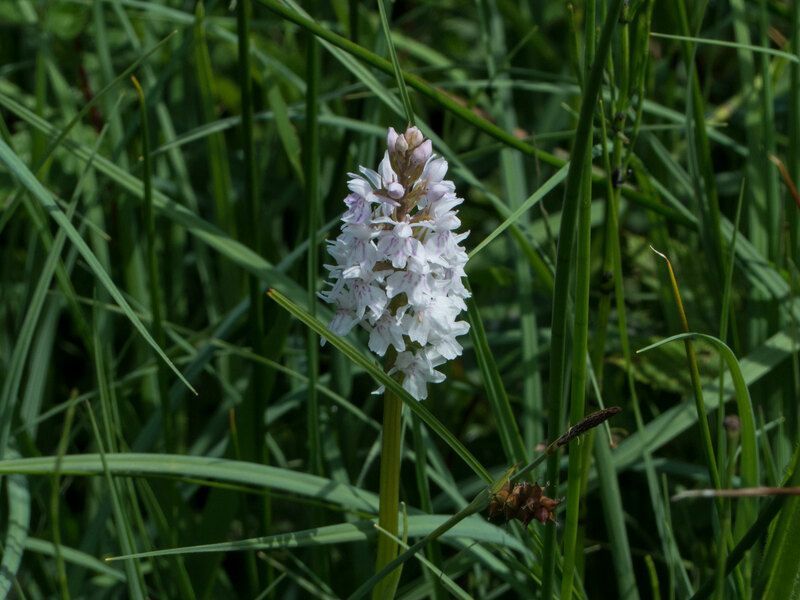 I especially like the interesting photos of native orchids. Ah, the softness of that stream habitat. And chalk country, the very thing, is lovely to think about from over here in the great midwest of the US. The Graylag geese reminded me of behavioral biologists/ethologists, Konrad Lorenz and the Ruff of A. J. Horgan-Warburg (Ardea). 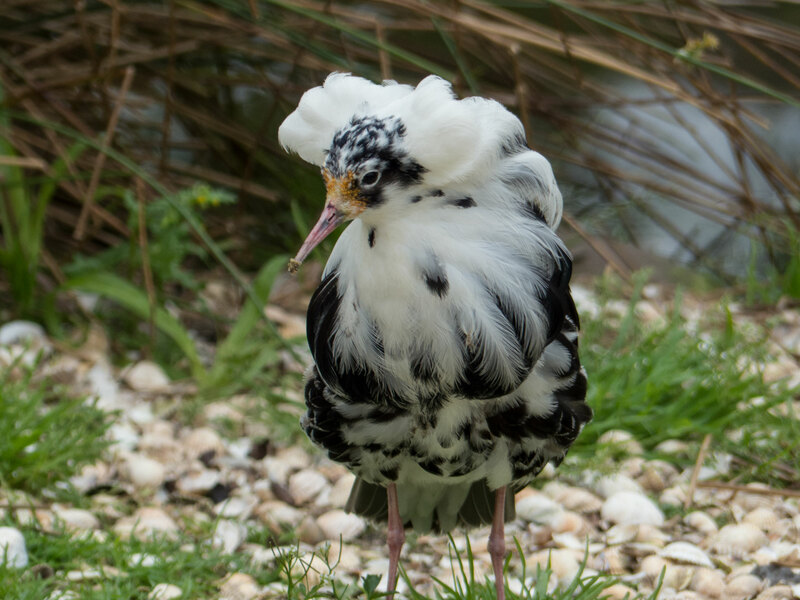 The ruff is quite dignified! Beautiful and peaceful photos; I esp. enjoyed the goose and goslings. I’ve never heard of a chalk-stream. A quick google revealed there is one in Pennsylvania. England is lucky to have so many! Nice contrast between the purple orchid and the yellow Ranunculus (I guess).